If you enjoy puzzles, you will enjoy putting this flower tag together. This thinlits set is in the New 2017 Occasions catalog that will be available on Jan. 4, 2017. You will need to use the Big Shot to cut the image out 5 times in each color, but it makes a striking tag when it is done. 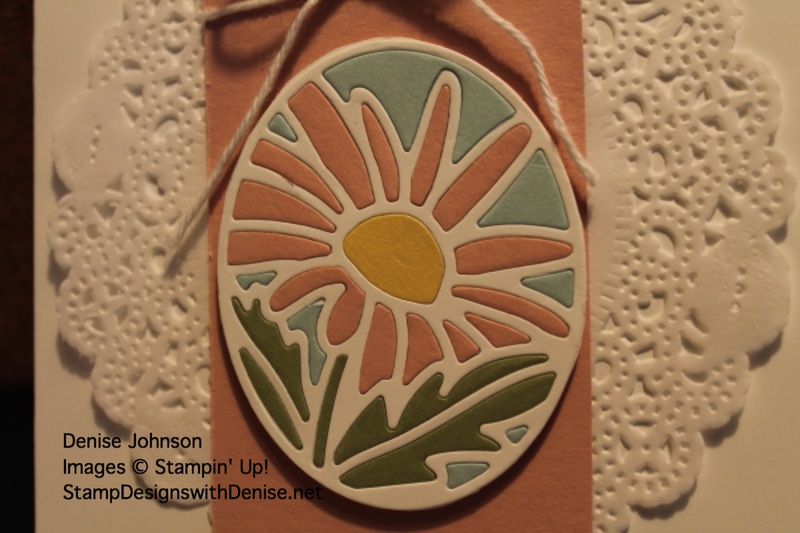 I have not added a sentiment to this card yet, as I haven’t decided who I want to give it to for what event. The That’s the Tag stamp set coordinates nicely with this Thinlits set and has a Happy Birthday, Thank You and Thinking of You sentiment stamps included. 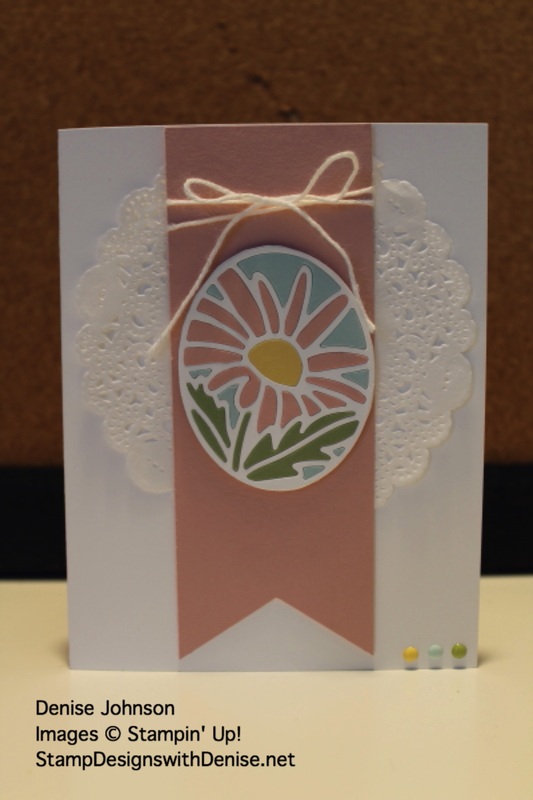 Using the flower tag and the Big Shot, cut out the flower tag using the following papers: Whisper White, Blushing Bride, Pear Pizzazz, Pool Party and So Saffron. Cut out a solid Whisper White Tag. 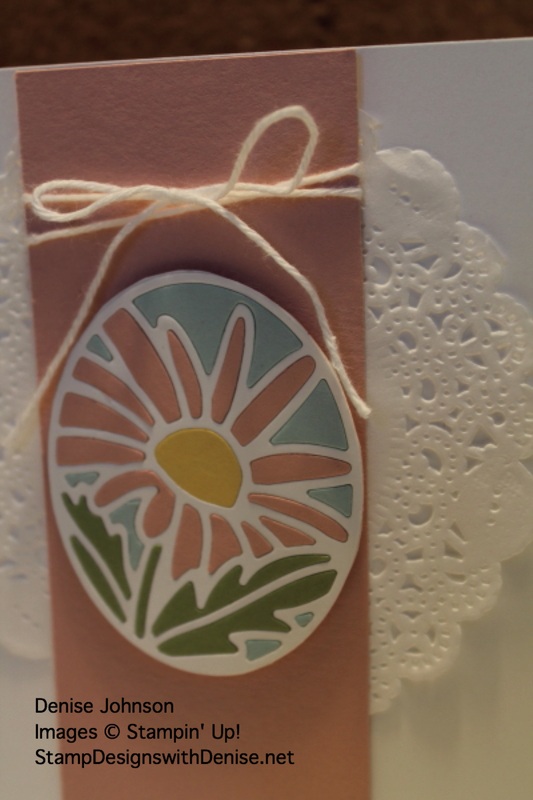 Attach the white flower frame to the solid white tag. Using the Fine Tip Glue Pen, attach each individual piece of the flower, stem and sky to the white flower frame. It’s like filling in puzzle pieces. I love your beautiful card. Thanks for sharing.